"Tsunami and Storm Surge Hazard Map Manual"
The United Nations’ flagship report on water, the United Nations World Water Development Report 3 (WWDR3): Water in a Changing World, is accompanied by a series of side-publications aiming to provide more in-depth information on water-related sectors, issues and topics in a stand-alone manner. 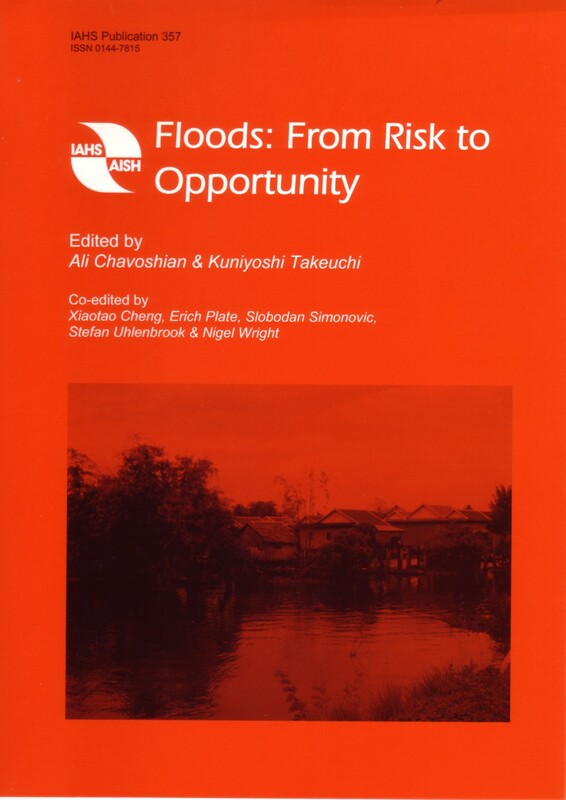 ICHARM contributed to one of the series entitled Global Trends in Water-Related Disasters: an insight to policymakers. English Version of "Dr. Isami Hiroi:The Life of a Japanese Christian Civil Engineer"
ICHARM has published the English version of "Dr. Isami Hiroi: The Life of a Japanese Christian Civil Engineer" published by Kajima Institute Publishing Co., Ltd., written in Japanese by Dr. Tetsuro Takasaki, previous guest researcher of PWRI. Ms. Aiko Asukai, the fourth direct descendent of Dr. Hiroi translated this book into English. The english title of the book reflects Ms. Asukai's wish as to be simple enough for foreign readers to understand its massage right away. After her translation work, Ms. Asukai commented that she was "more proud of Dr. Isami Hiroi because of his vigorous efforts in learning Western thoughts and knowledge. He was a pioneer in Japan's civil engineering and helped many to become excellent experts in the field." We plan to give copies of the book to participants in international conferences and researchers visiting PWRI both from within Japan and the rest of the world to serve training human resources in developing countries and to introduce Japanese civil engineering technology. Please contact icharm@pwri.go.jp if you would like a copy. English Version of "Illustrated Guide to Hydrological Observation"
This is the English version of the revised edition of "Illustrated Guide to Hydrological Observation (2001)". The first edition of "Hydrologic Observation Explained in Pictures" was published in 1979. 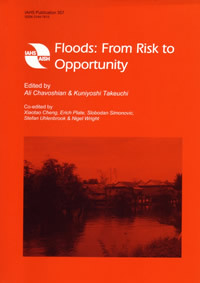 The first edition was also translated into English and so forth and had been widely appreciated as a unique pictorial textbook for field hydrologic observers in charge of river management to study mainly how to observe rainfall, river water level and river discharge, including other related issues such as preparations and office work. The revised version was translated by ICHARM/PWRI under the agreement with its original authors: the Chubu Regional Development Bureau of the Ministry of Land, Infrastructure and Transport (MLIT) and the Chubu Regional Public Association for Construction Service. This illustrated guide has been used in hydrological observation training classes/seminars conducted by ICHARM.